The Honda Activa is the current king of the scooter market. With Indians no looking for more premium scooters, it is the 125cc segment that is currently getting a lot of attention, especially the more premium segment which sees the likes of the Honda Grazia and the TVS Ntorq. Now Hero is ready to up the ante in the 125cc segment with two scooters that were last seen at Auto Expo 2018, According to a LiveMint report, Hero will launch the Maestro Edge 125 and Duet 125 in India in September. The two new scooters from Hero are pitched at two different types of buyers. The Duet 125, which will battle the likes of the Honda Activa 125 and the Suzuki Access is targeted at owners looking for a scooter to move the family about in. The Duet features an all-metal body with telescopic forks, an integrated braking system, similar to the Combi brake setup on the Honda Activa and Grazia, semi-digital instrumentation and an external fuel filler cap among many other features inlcuidng a boot light and USB ports. The Duet sits on 10-inch wheels shod with the tubeless tyres. The Maestro Edge, on the other hand, targets a younger audience. 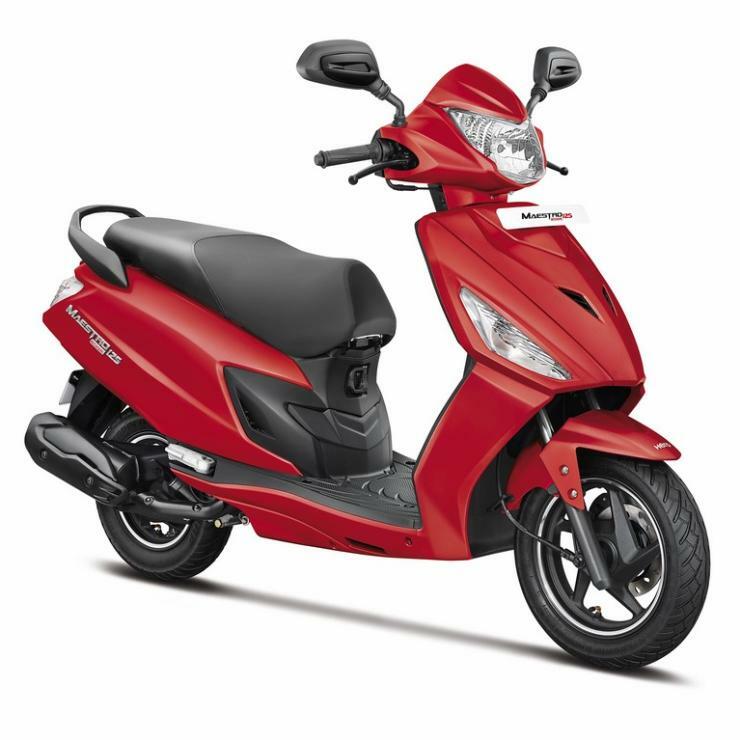 The Maestro Edge is a sportier scooter from Hero and features a fibre body, with a sporty design and graphics and multiple matte colour options like Matte Techno Blue, Matte Red, Matte Brown and Matte Vernier Grey. While it to recieves all the features seen on the Duet like the semi-digital instrument cluster, integrated brakes, external fuel filler cap among others, owners will be able to opt for a disc brake up front and remote key-opening. The Maestro Edge gets a larger 12-inch alloy wheel up front and a 10-incher at the rear. In terms of propulsion, the Duet 125 and Maestro Edge 125 from Hero both use a new 125cc engine 8.7bhp @ 6,750 rpm and 10.2Nm of torque @ 5,000 rpm, which is sent to the rear wheel via a CVt gearbox. While the new Hero Maestro Edge 125 and Duet 125 match the Honda Activa 125 in terms of power, the i3s start-stop system which will come with both new scooters should help them clinch the mileage game. However, the ‘sportier’ Maestro Edge does seem underpowered compared to the likes of the Aprilia SR 125 and the TVS NTorq.